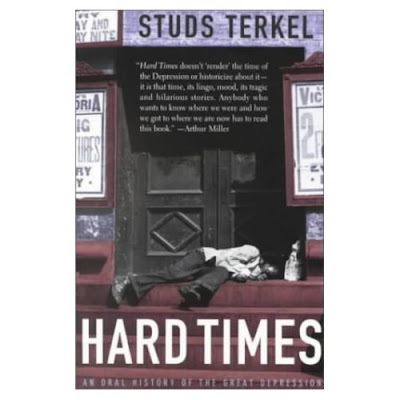 Terkel interviewed hundreds of people across the United States for his book on the Great Depression of the 1930s. 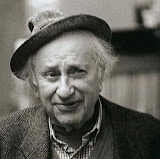 In 1973, he selected several interviews that were included in his book to be broadcast in eleven parts on the Studs Terkel Program on WFMT radio (Chicago, IL). This gallery includes the interviews in those programs. 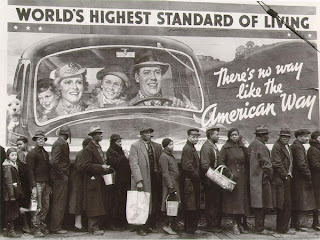 Terkel questions people about their recollections of employment problems, the crash of 1929, organized labor issues, “farm holidays” where crops were destroyed, and U.S. President Franklin Delanor Roosevelt’s New Deal programs. He asks them how they managed financially and personally through the economic slump and what personal qualities surfaced as a result. In particular he seems interested in exploring the relationship between their personal plight and values and their awareness of national issues and society’s values.